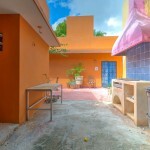 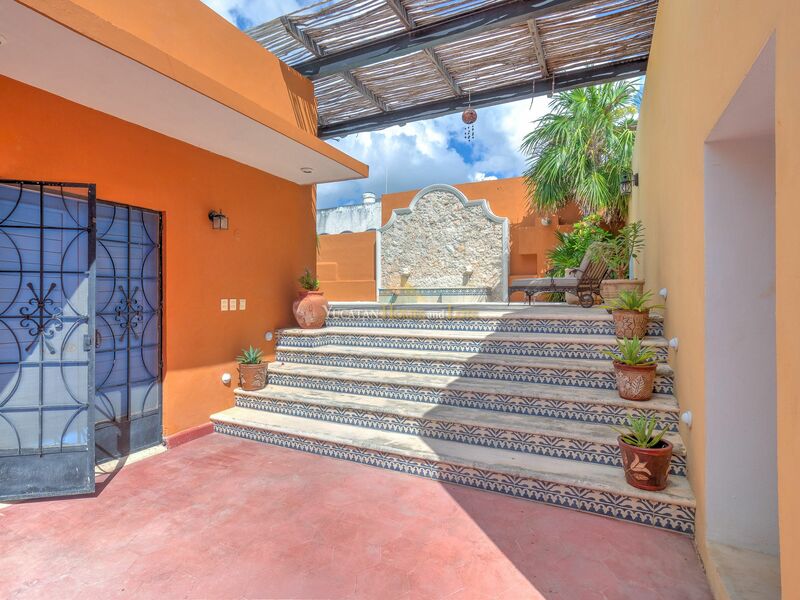 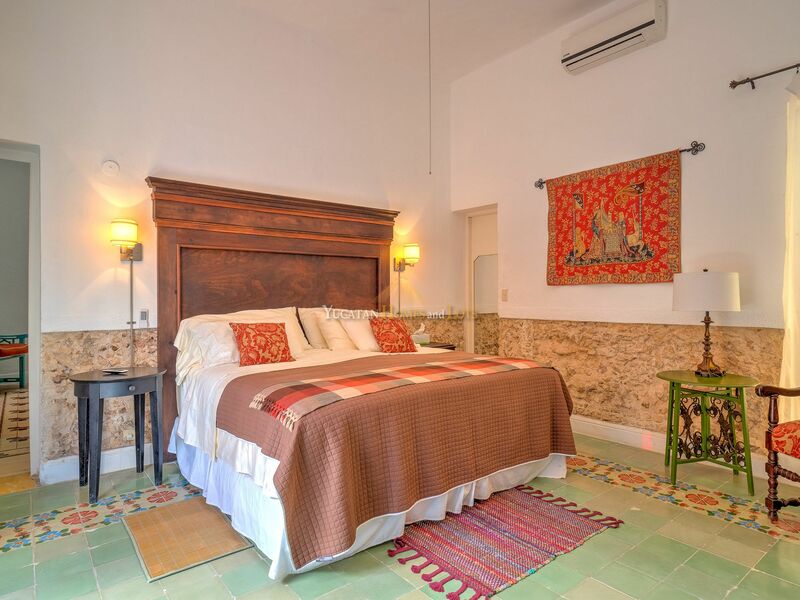 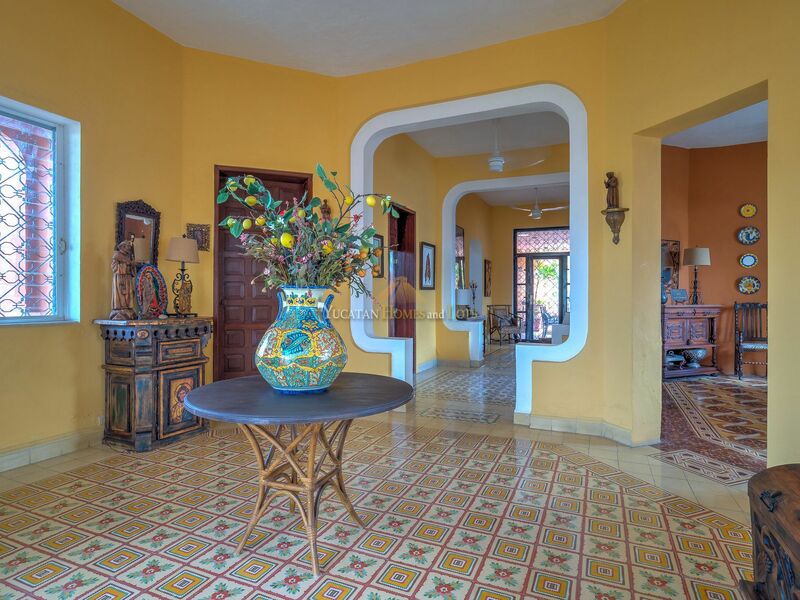 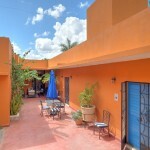 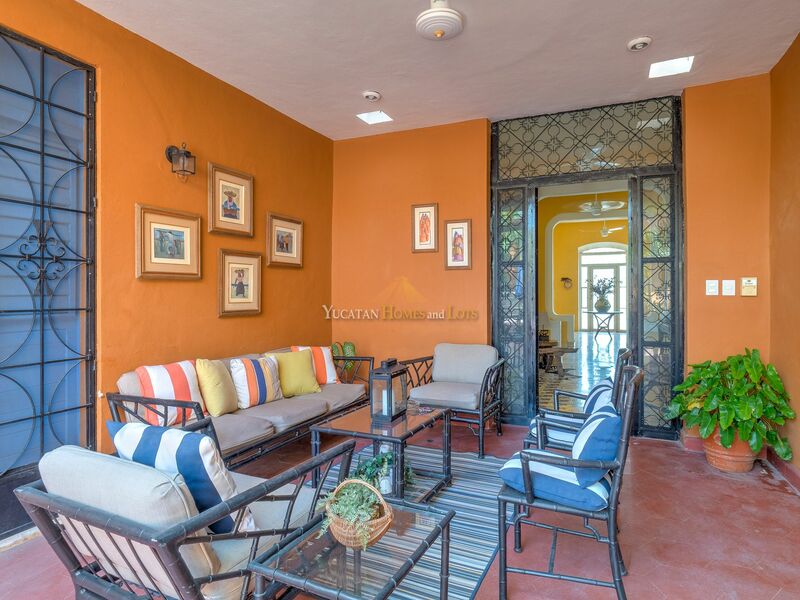 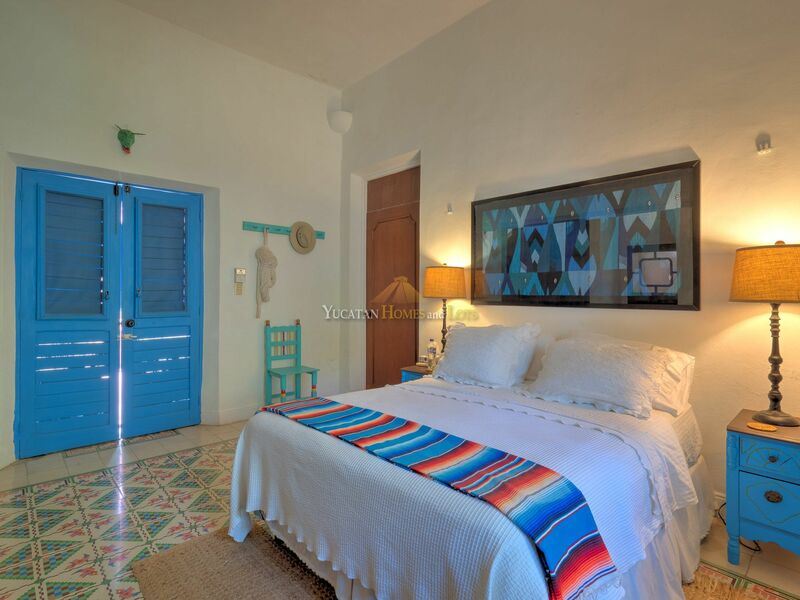 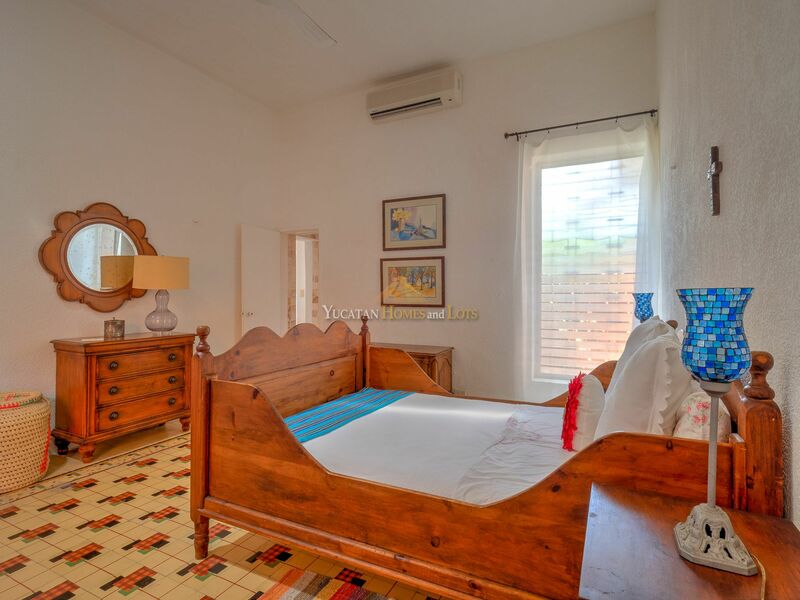 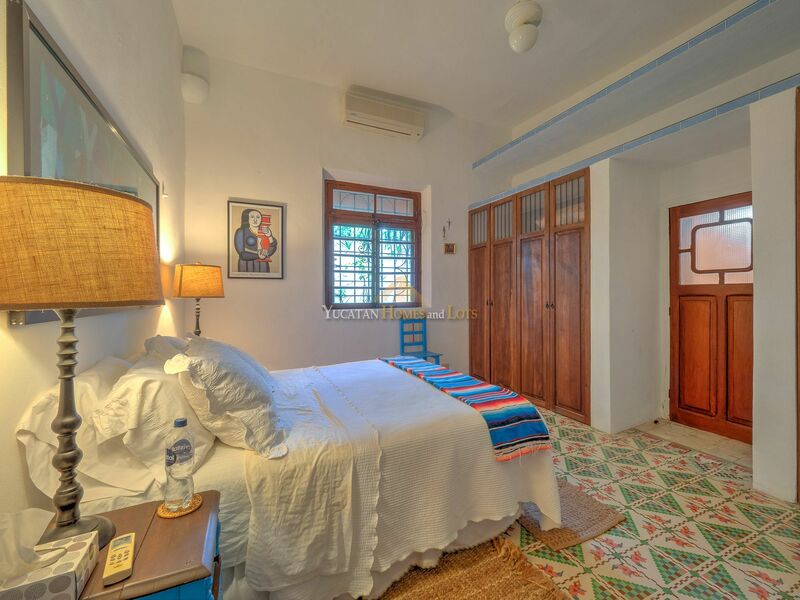 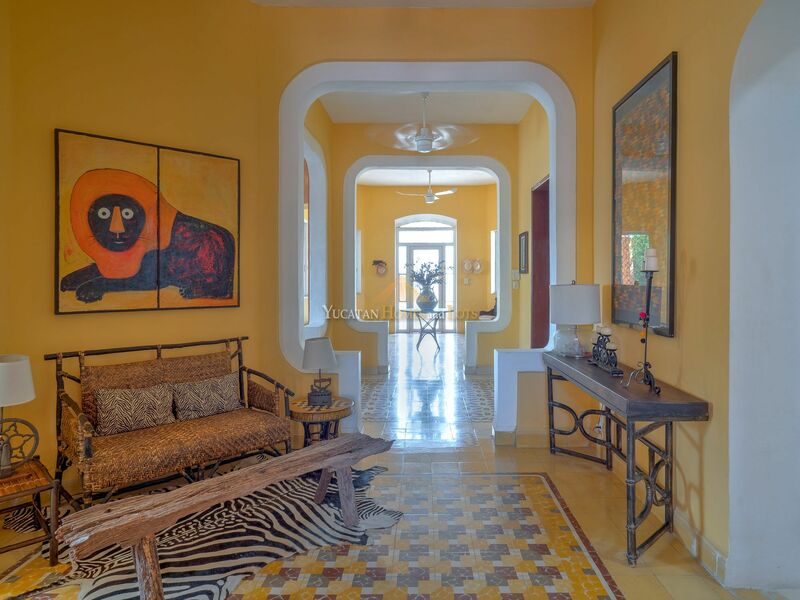 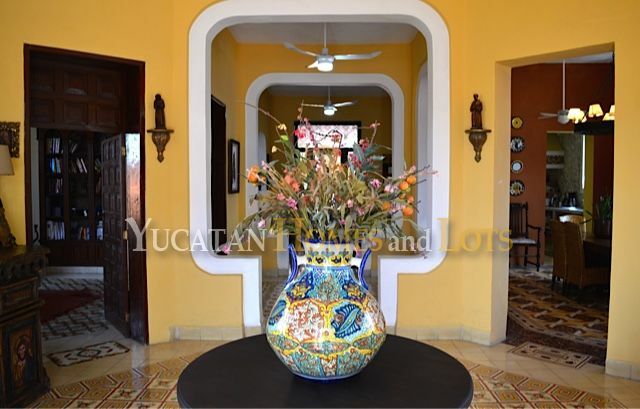 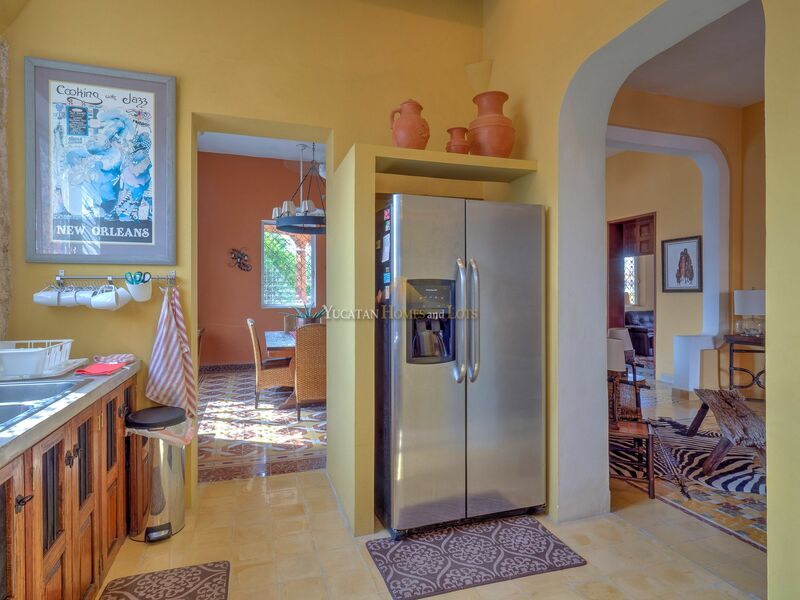 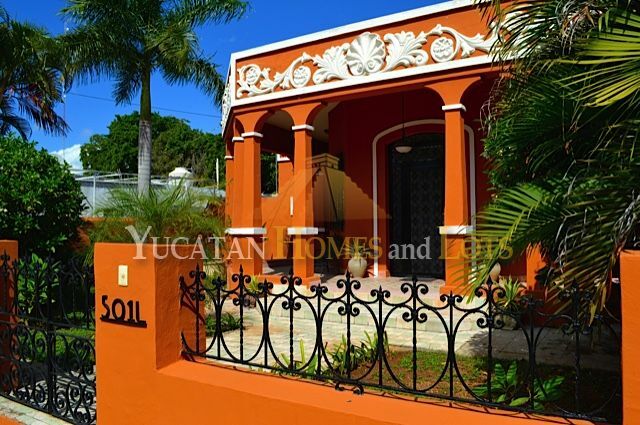 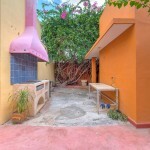 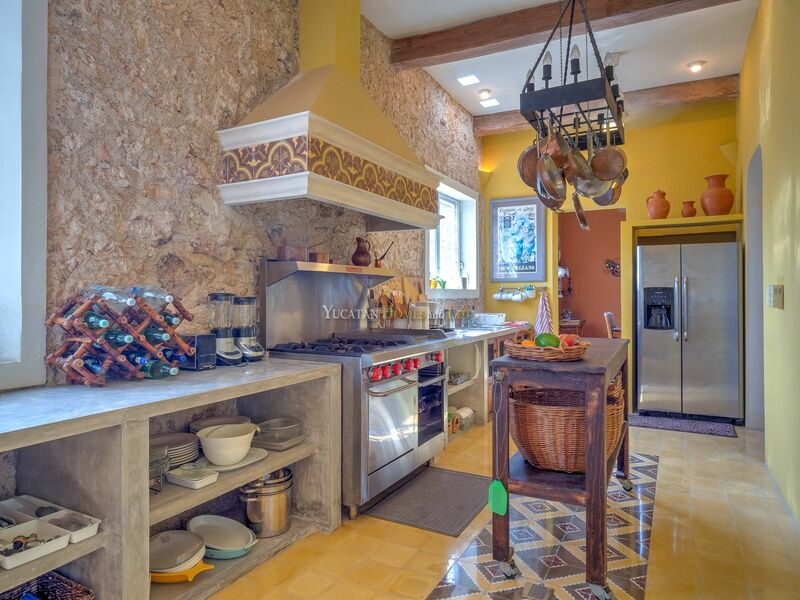 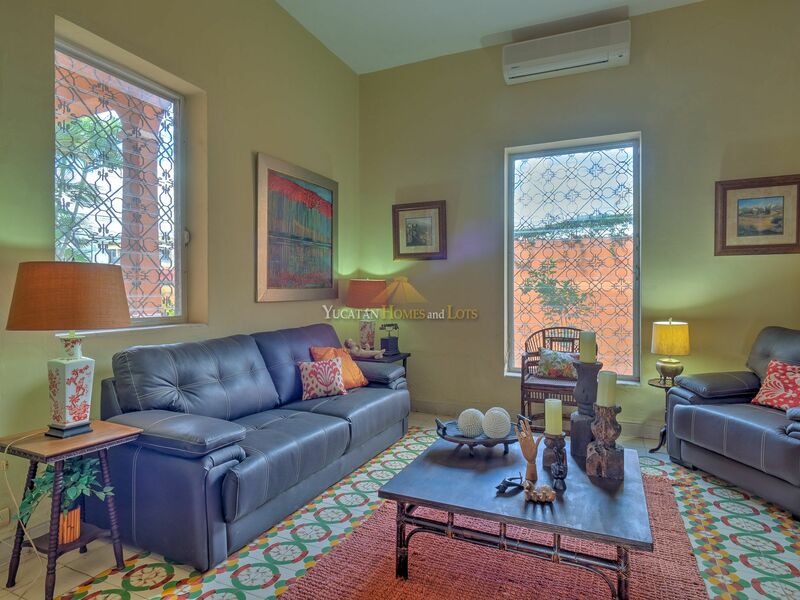 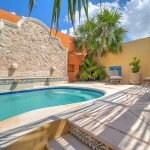 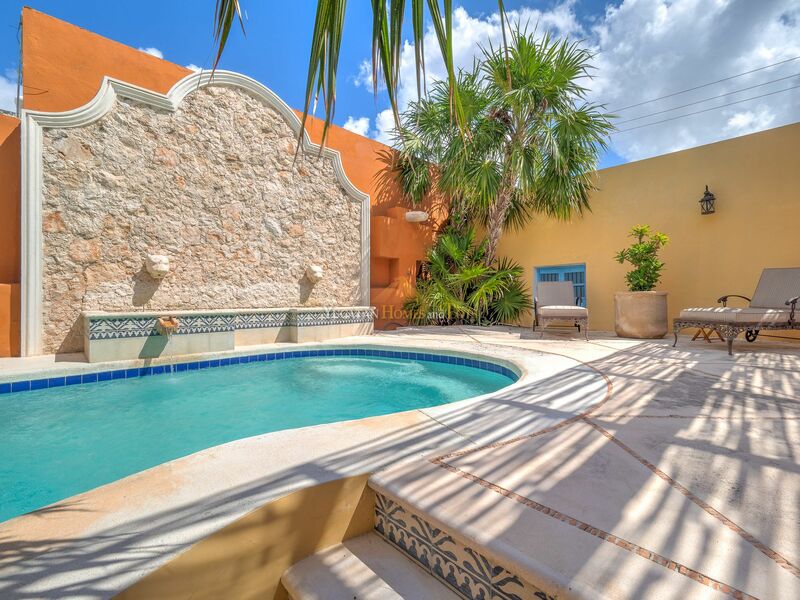 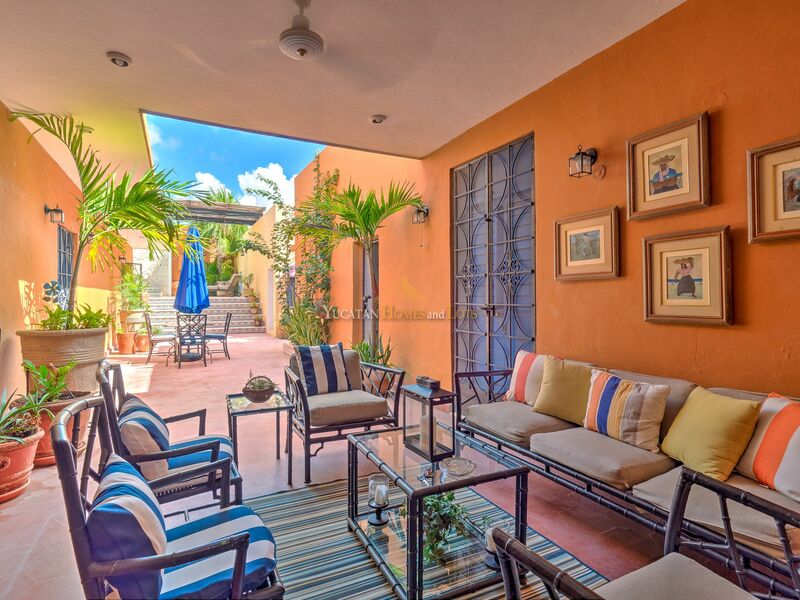 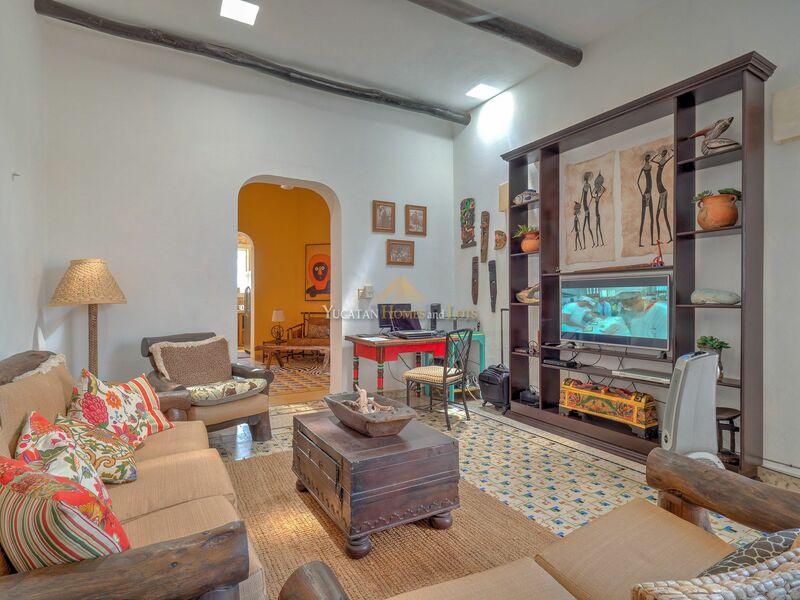 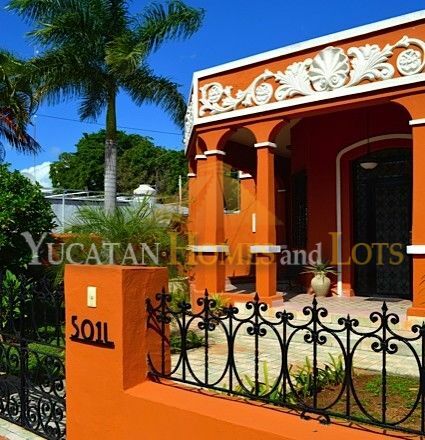 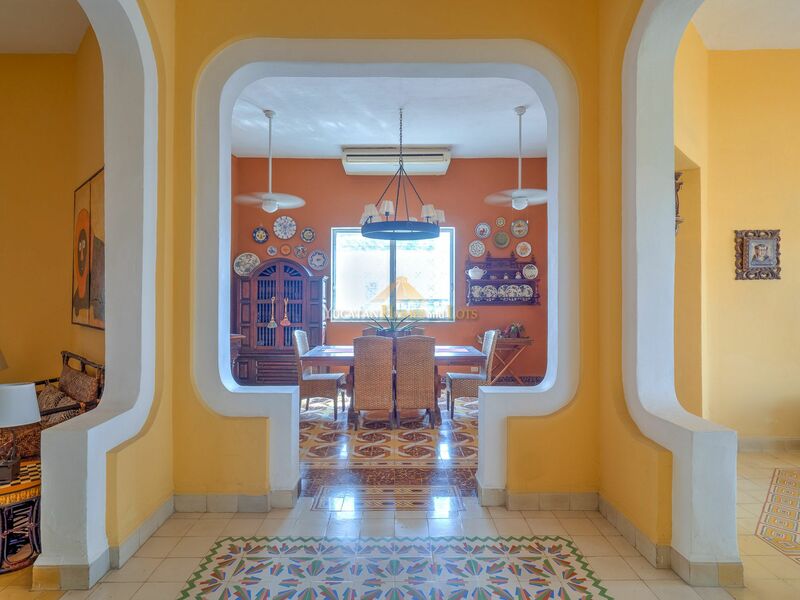 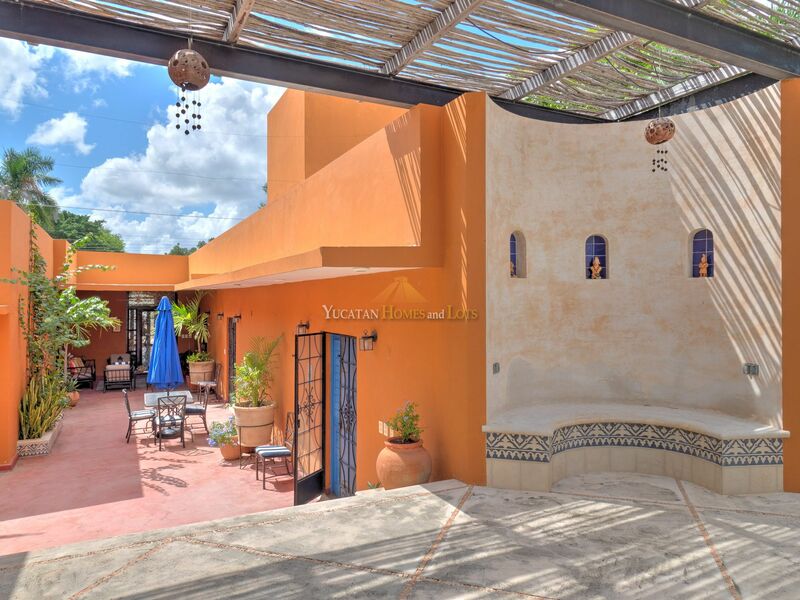 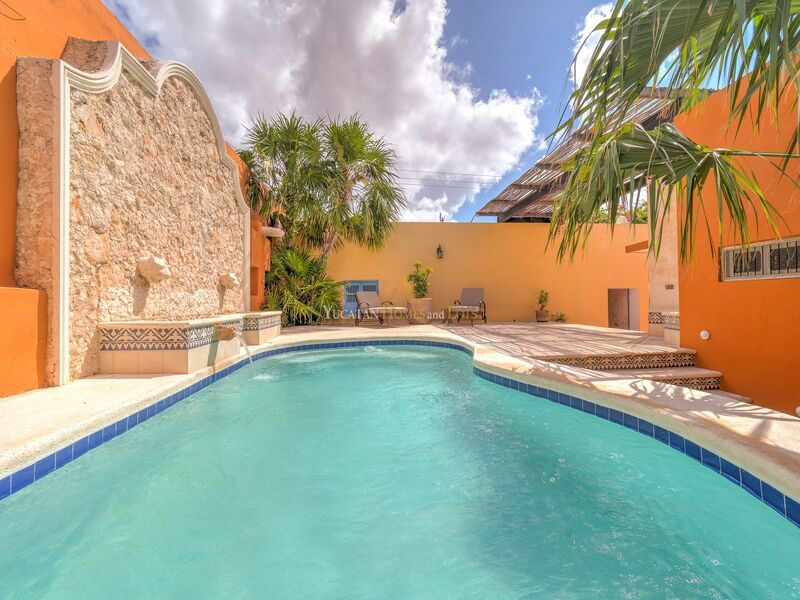 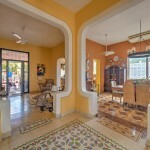 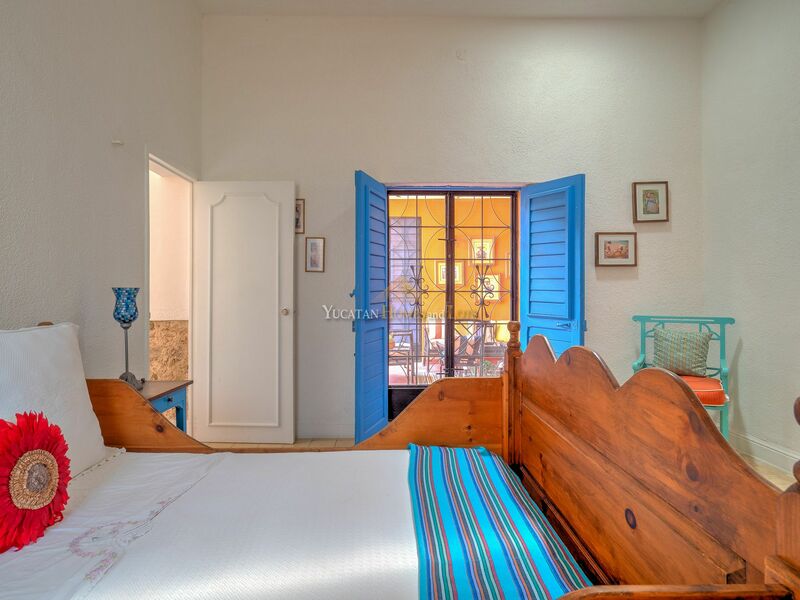 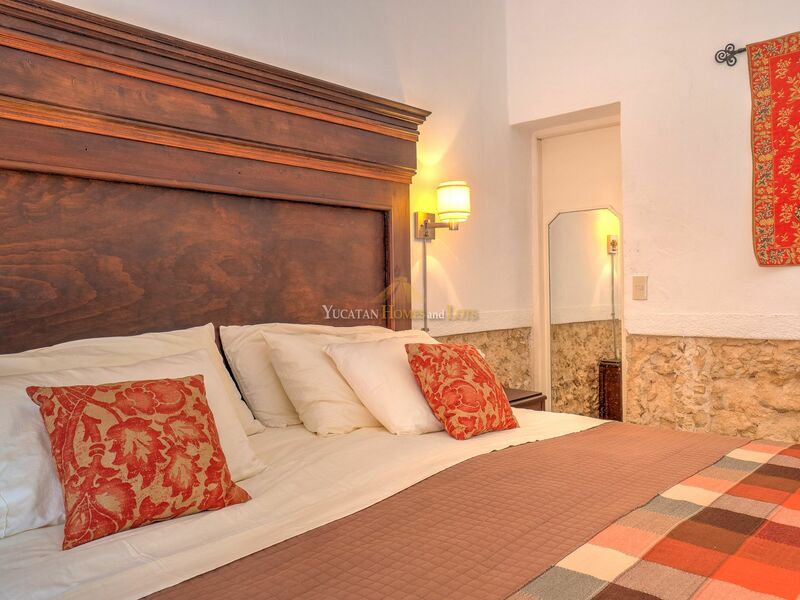 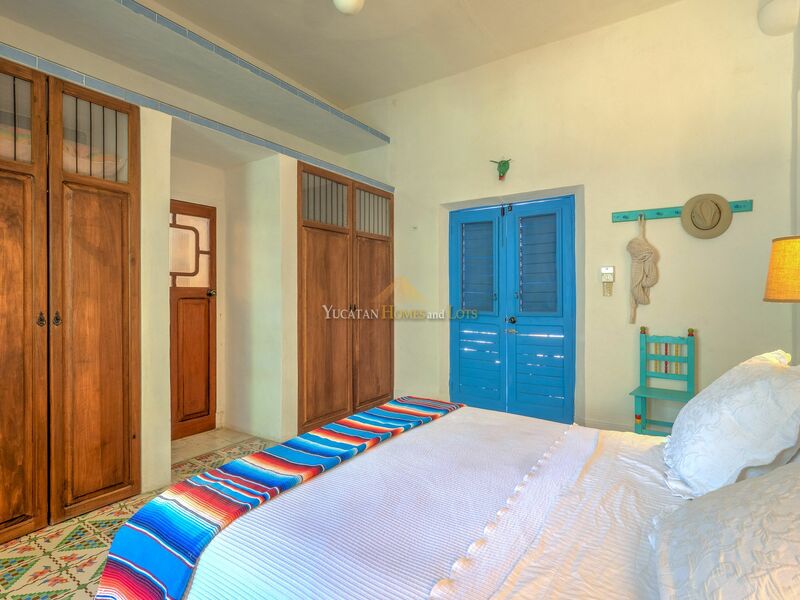 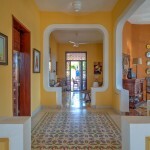 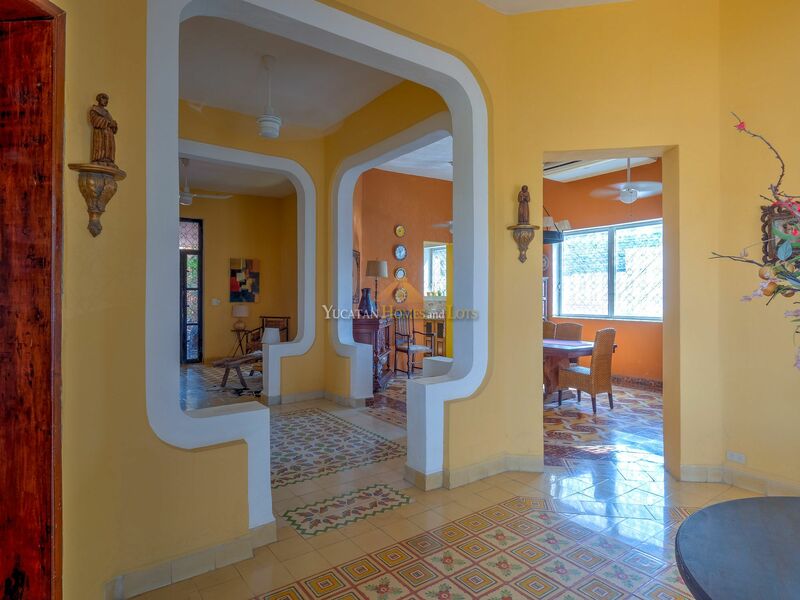 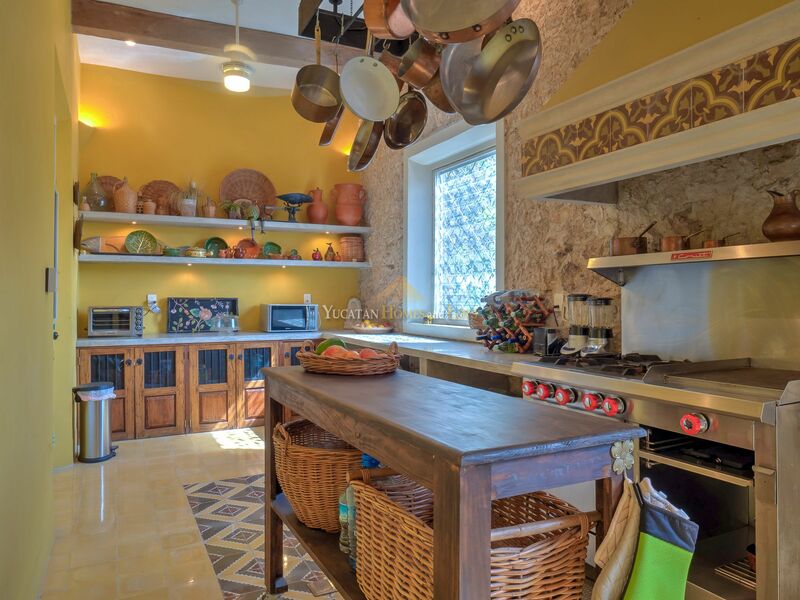 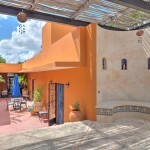 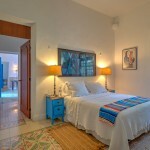 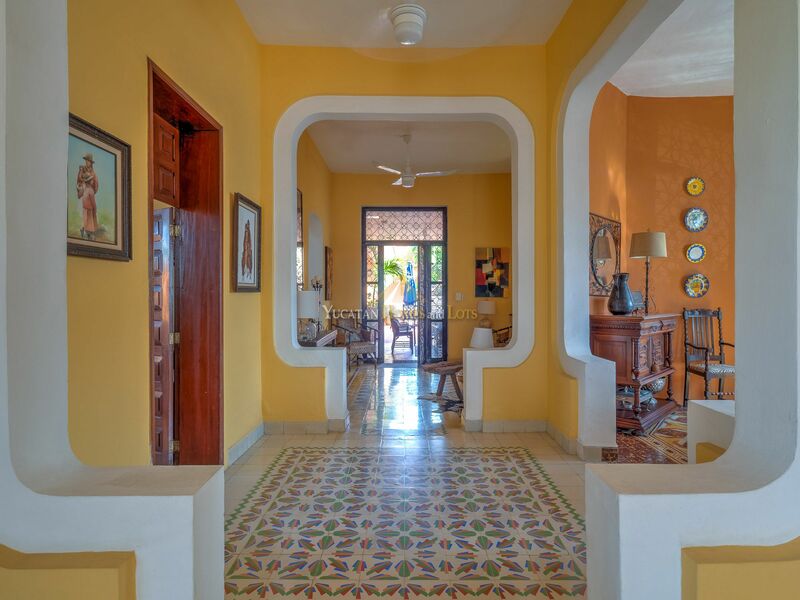 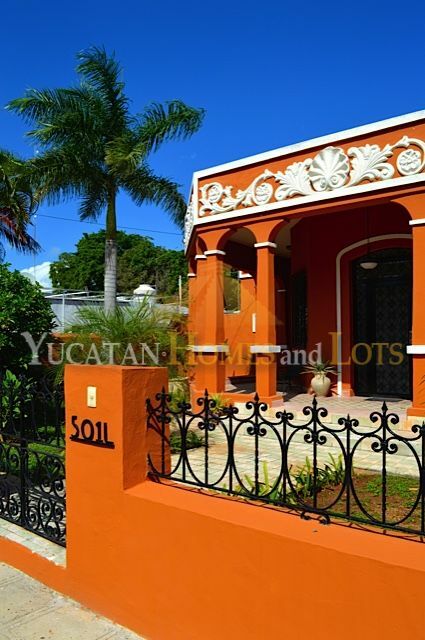 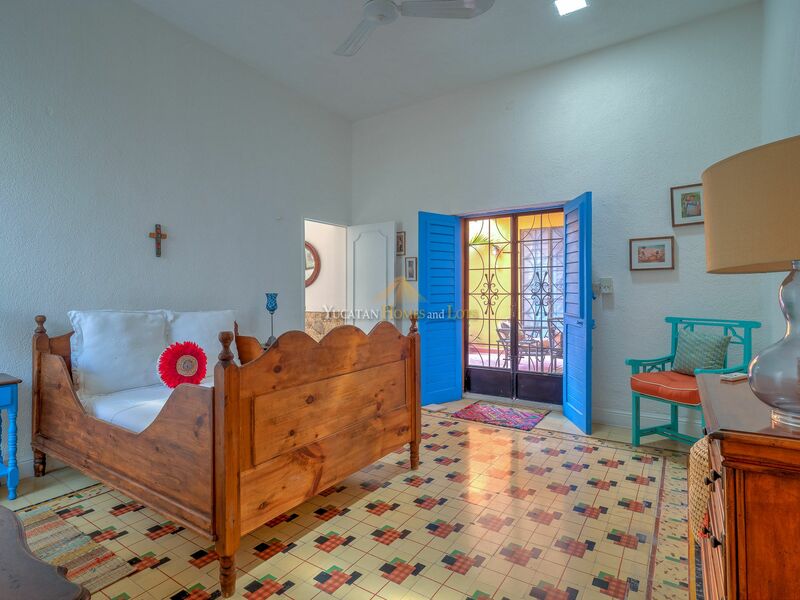 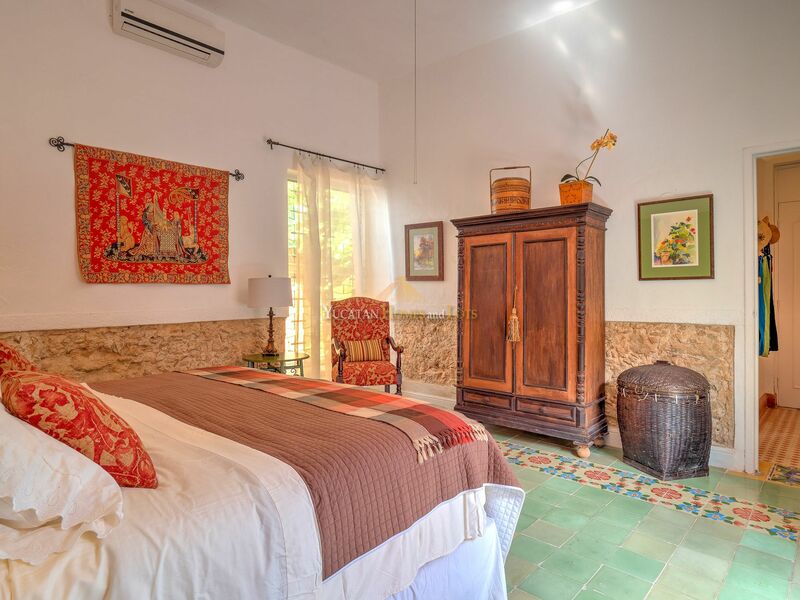 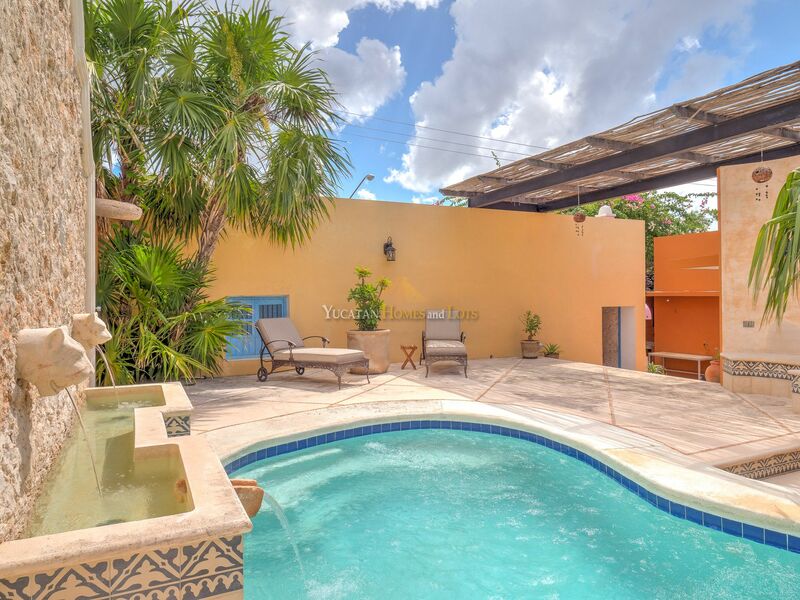 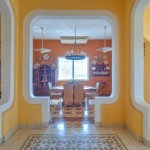 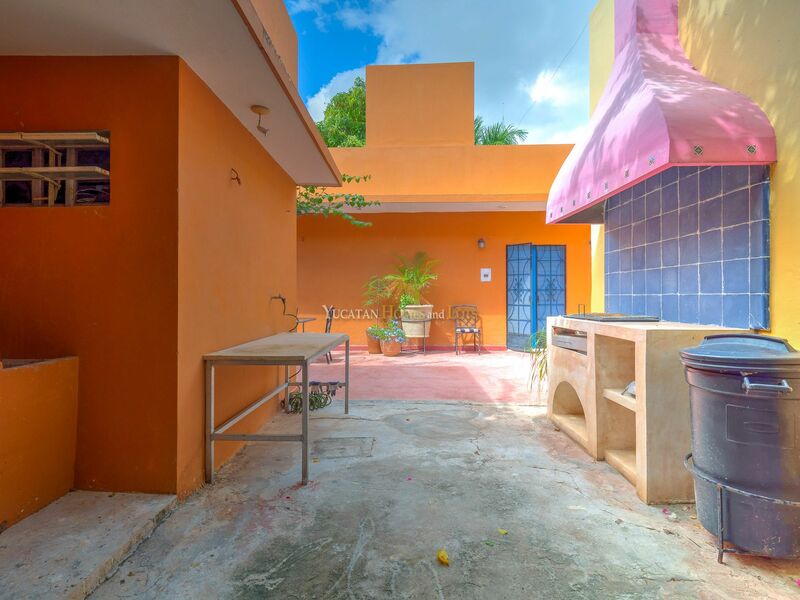 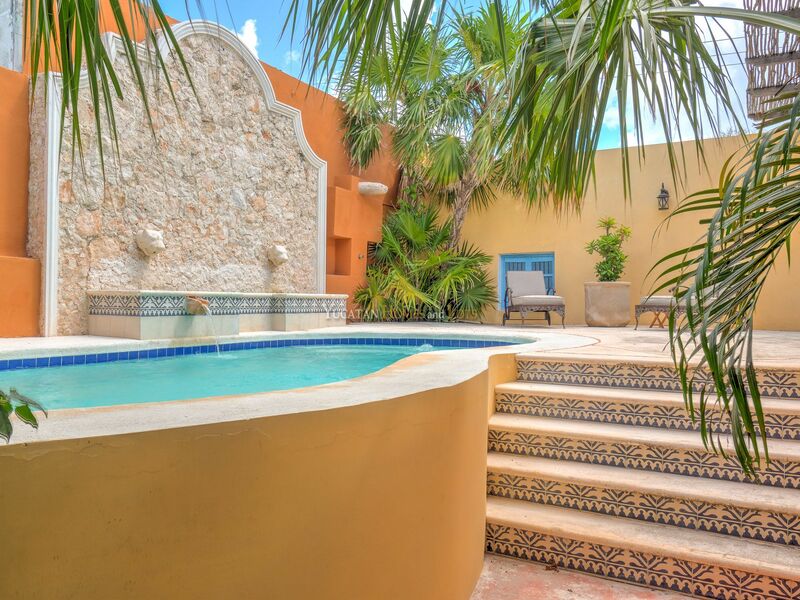 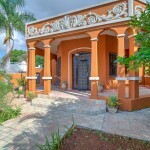 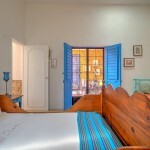 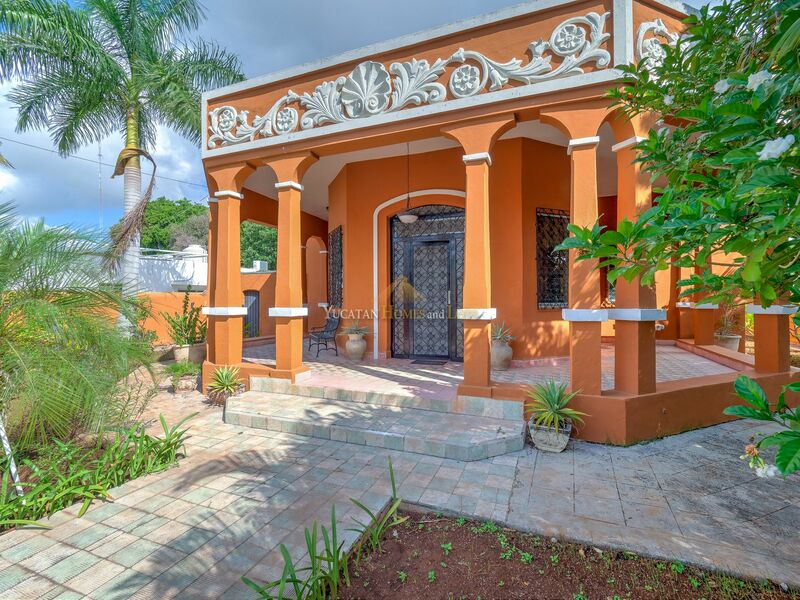 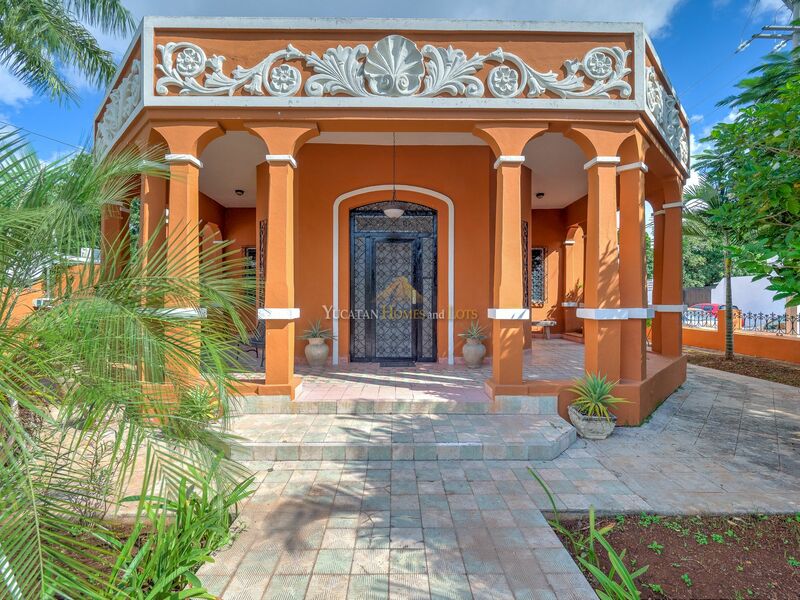 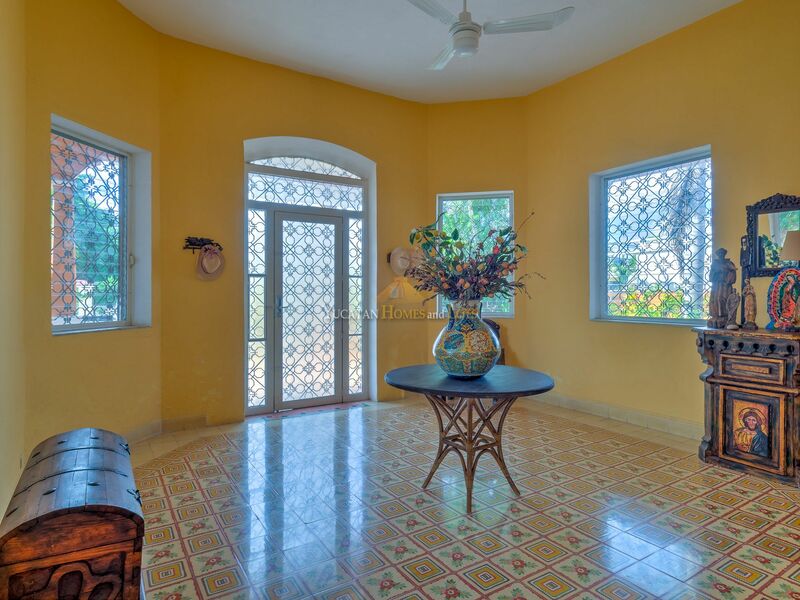 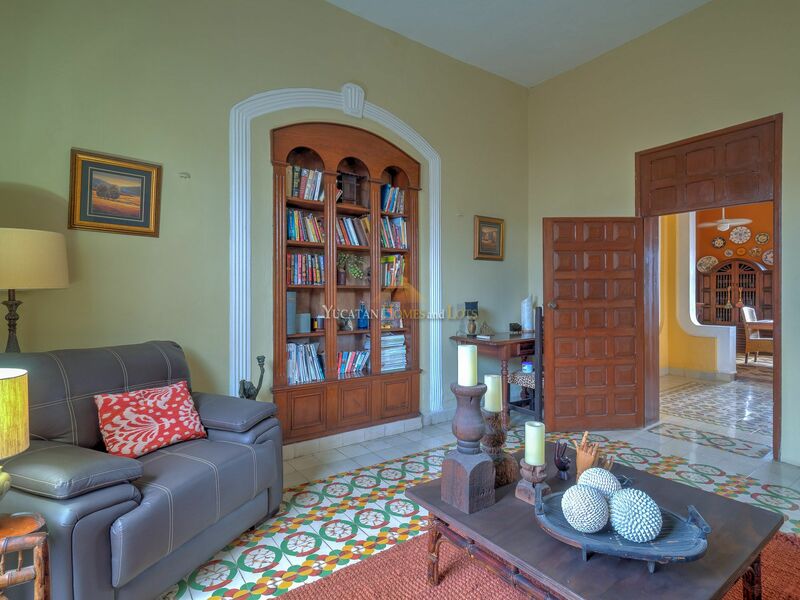 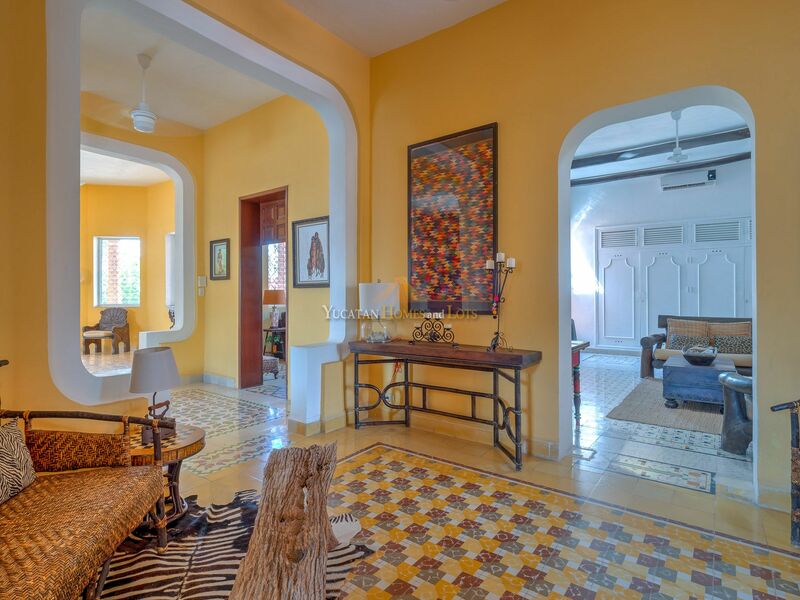 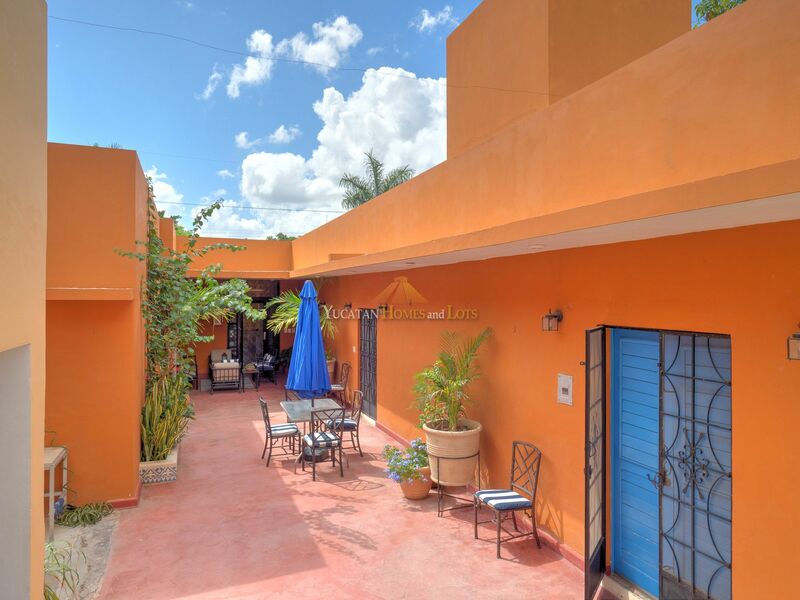 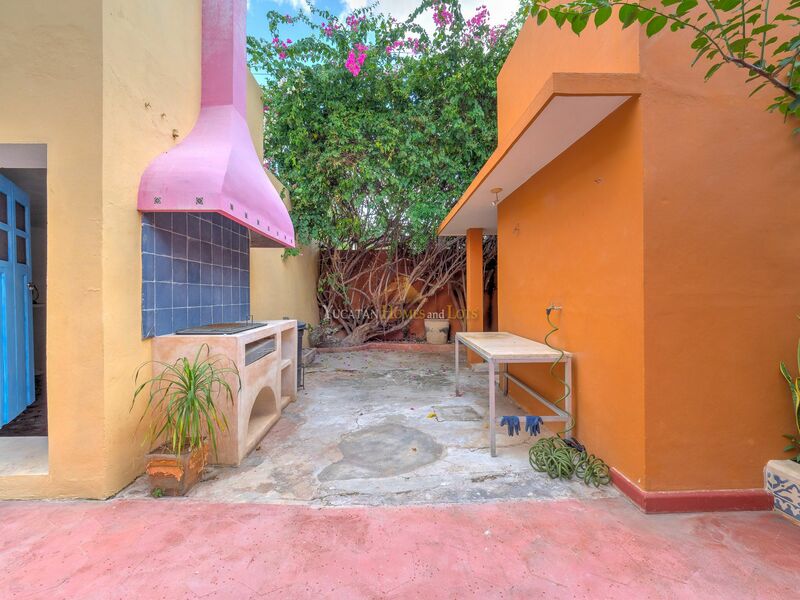 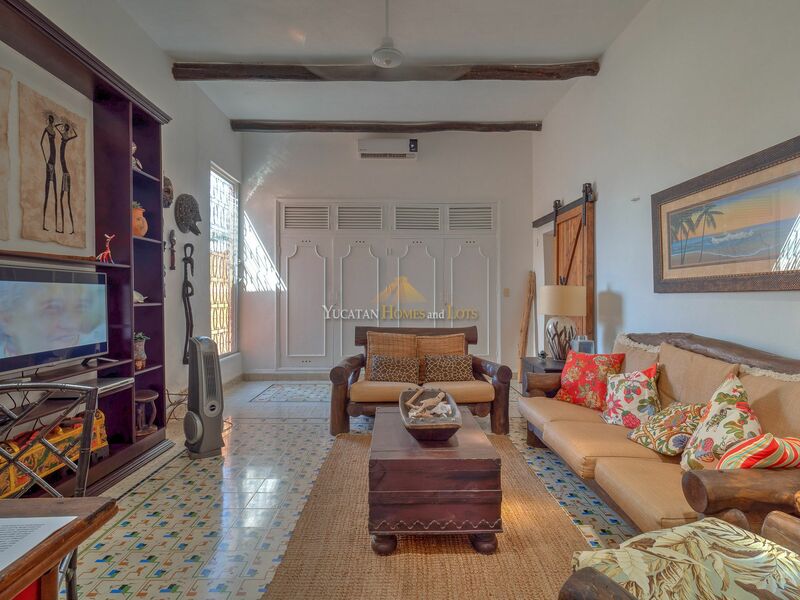 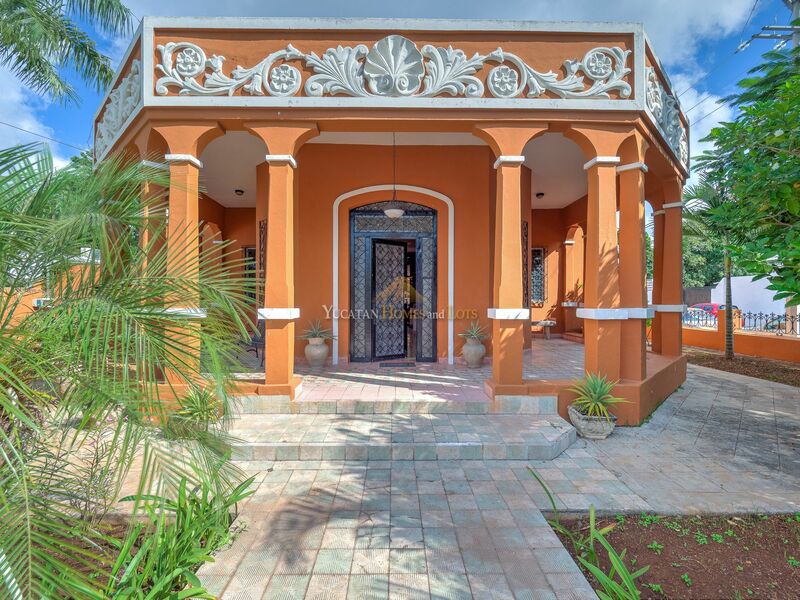 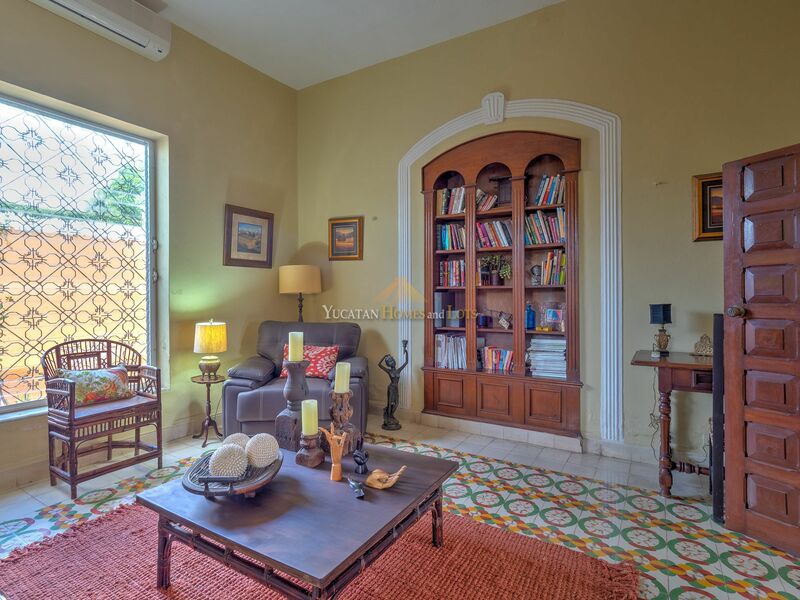 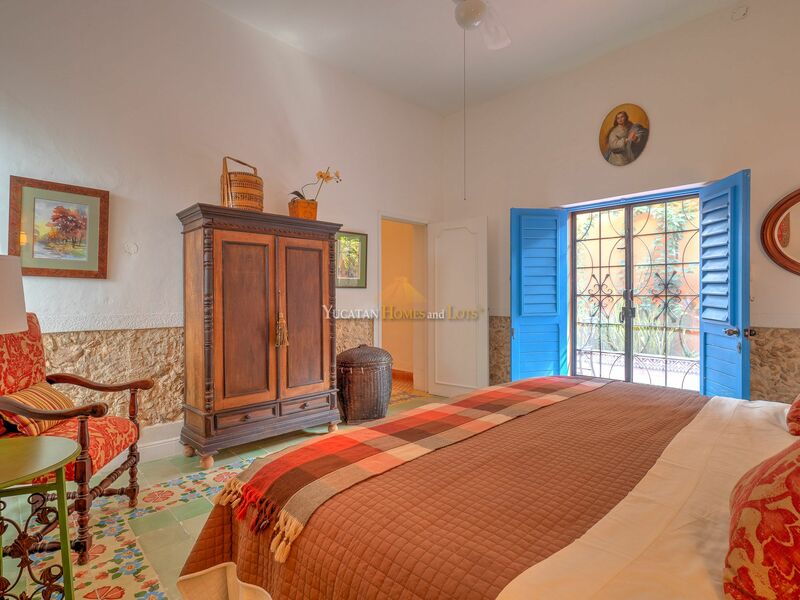 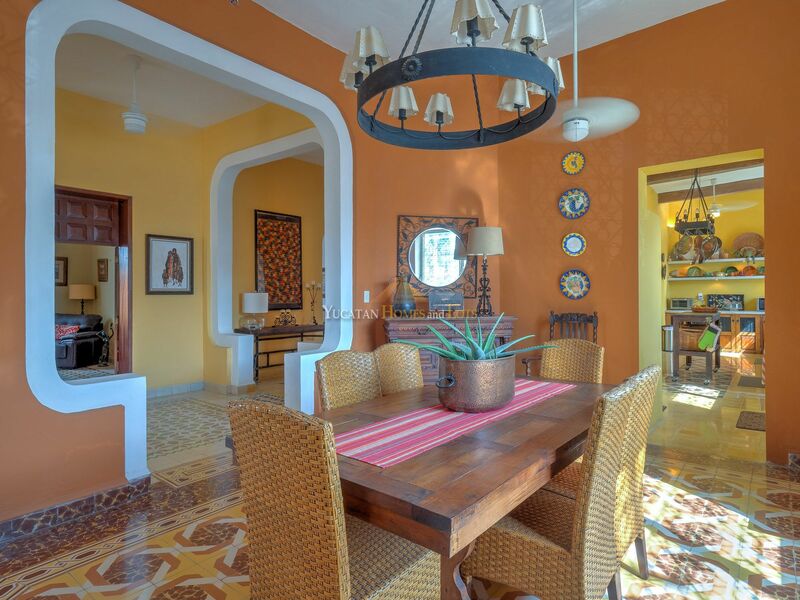 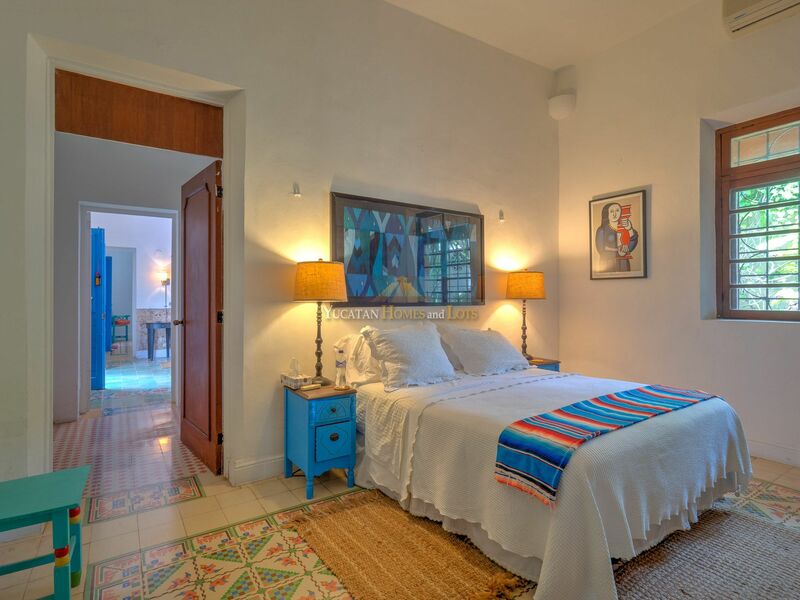 This amazing multi-colored house is located in Garcia Gineres, just blocks from the brand new Convention Center and just a few blocks from the very popular Slow Foods Yucatan Farmer’s Market. 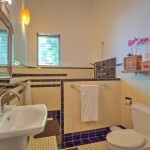 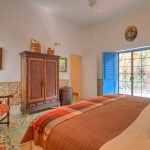 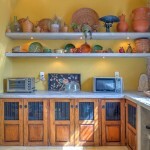 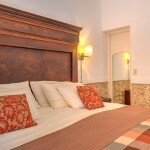 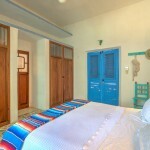 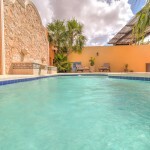 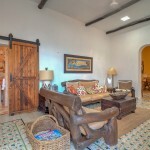 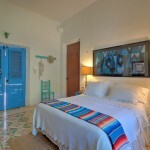 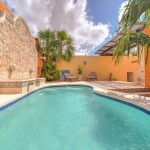 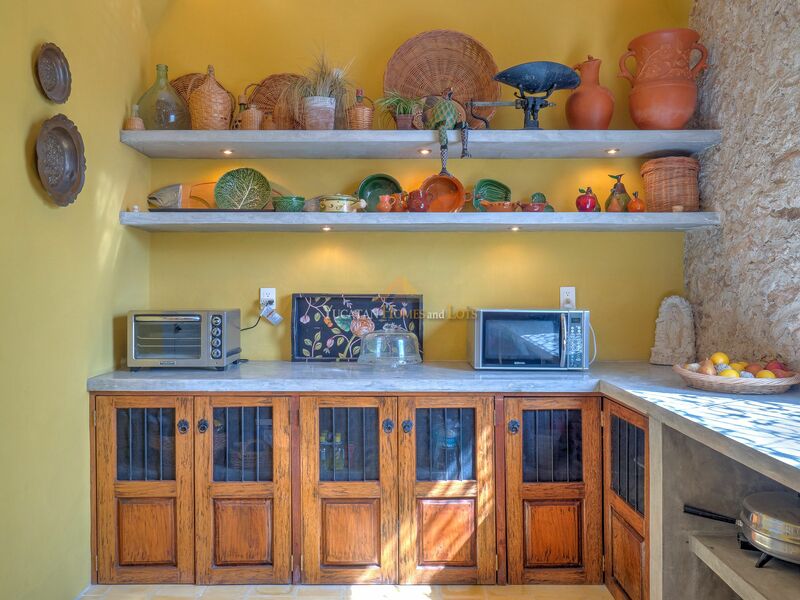 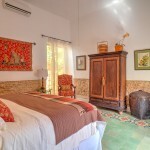 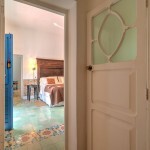 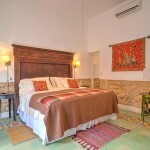 Think of the vacation rental possibilities! 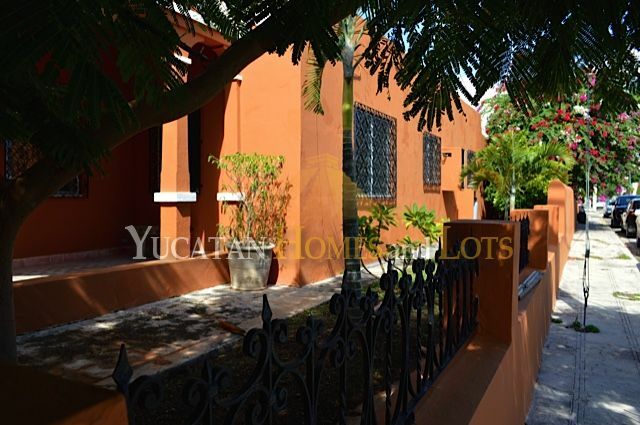 And this house already has a great rental history, so the new owner will not be starting from scratch. 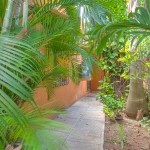 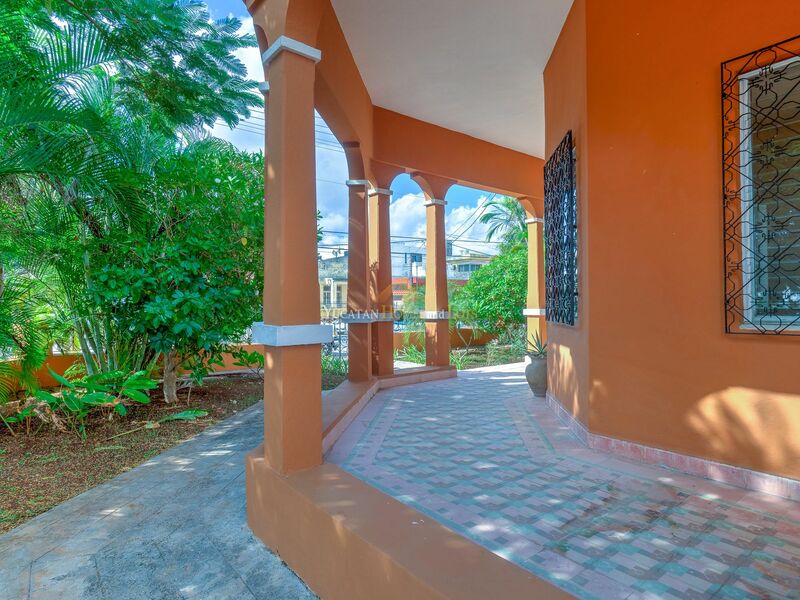 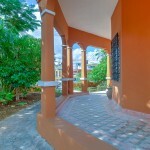 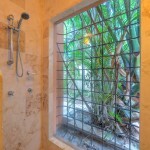 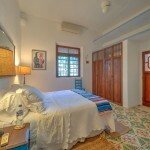 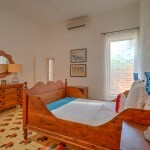 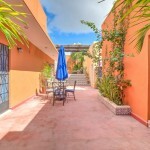 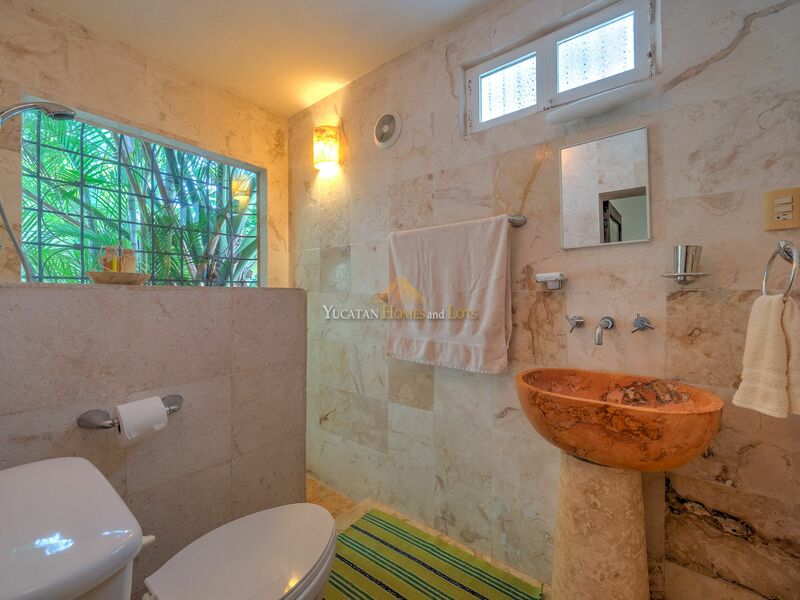 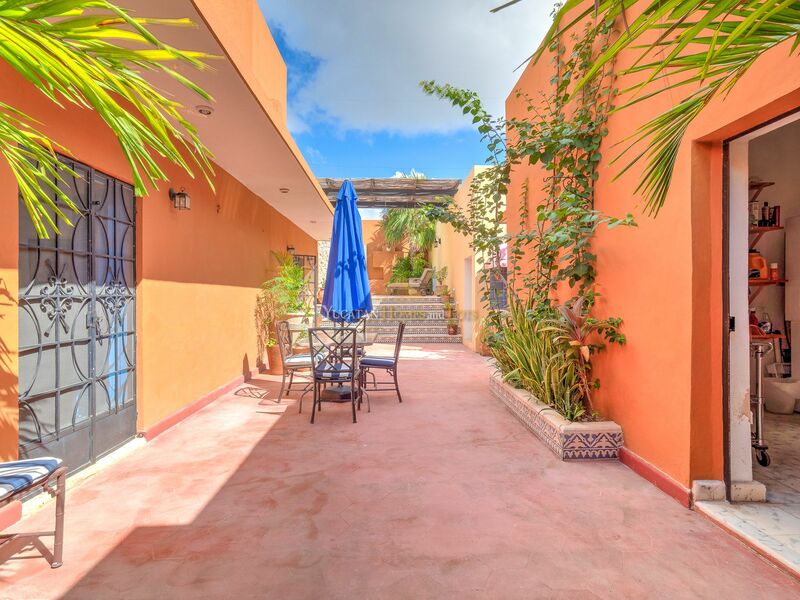 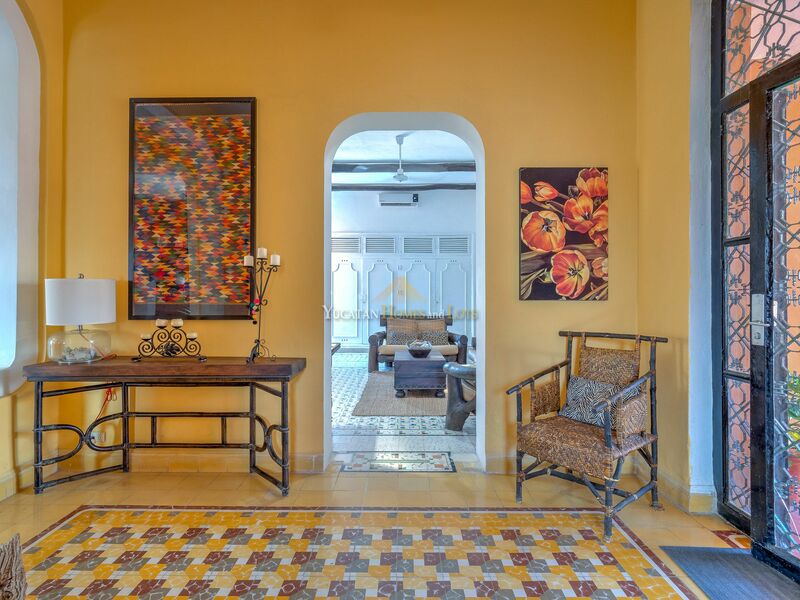 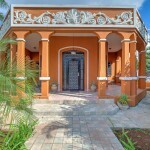 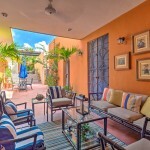 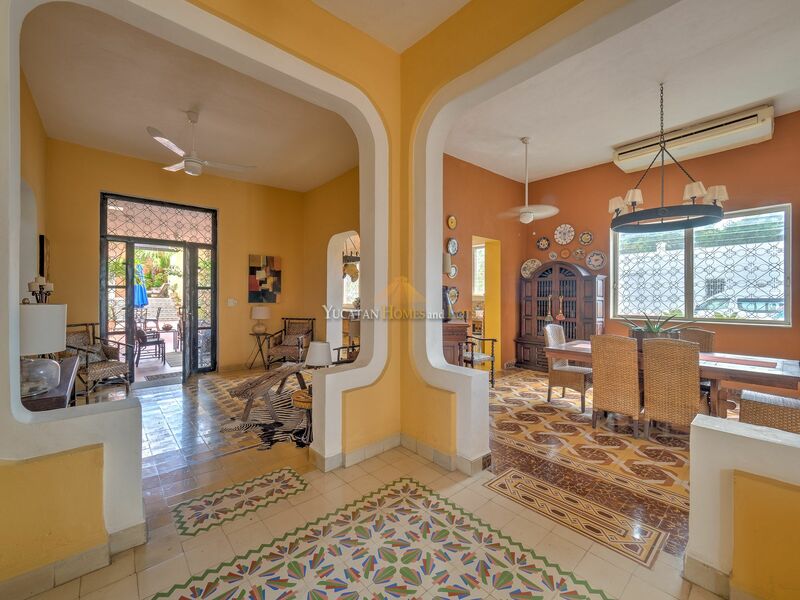 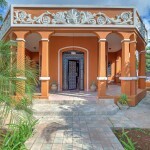 Even though it is close to a hive of activity, just down the street from the hotel zone, it is set back from the street and enjoys a large piece of property with amazing tropical gardens. 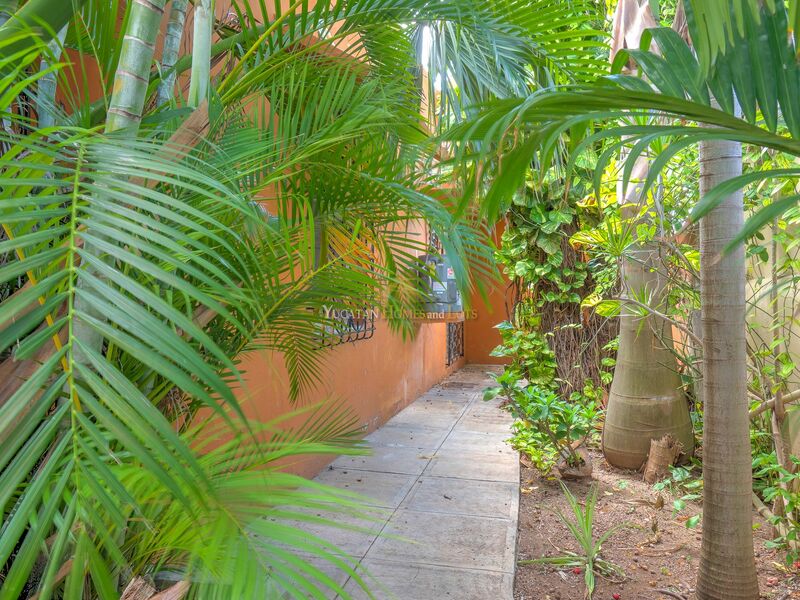 Once inside, you’ll never know you are in the city! 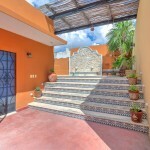 The house feature 4 bedrooms and 3 bathrooms, each one unique and beautifully appointed. 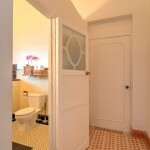 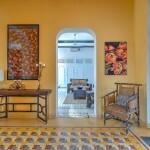 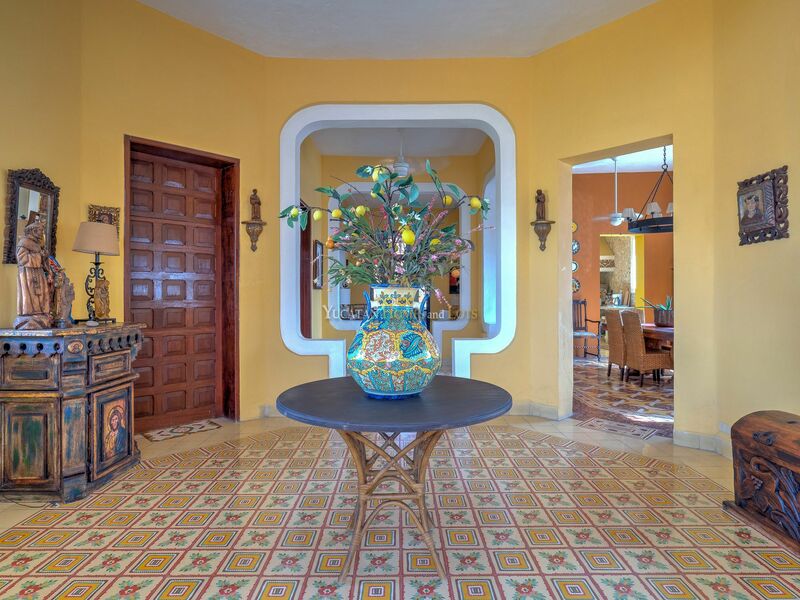 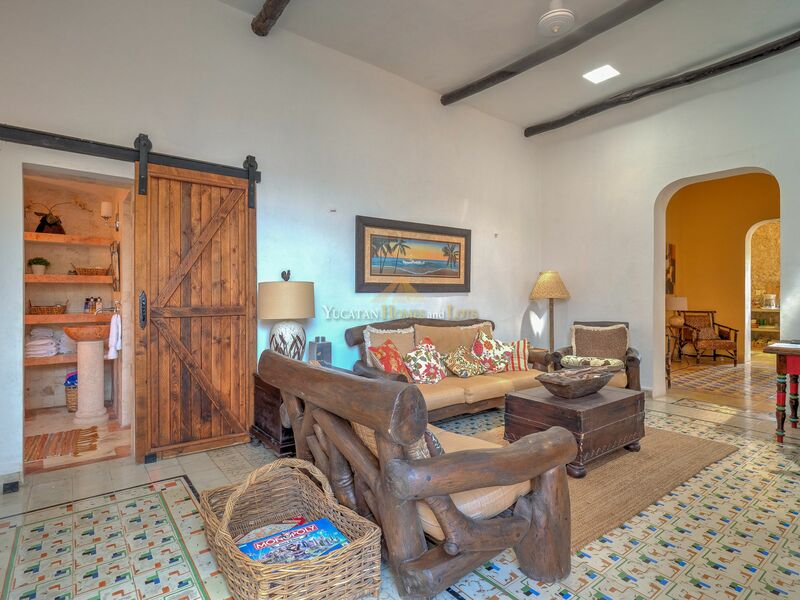 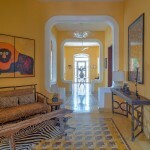 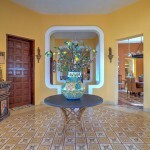 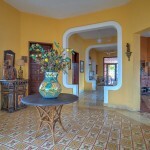 There are two entry rooms and a beautiful foyer. 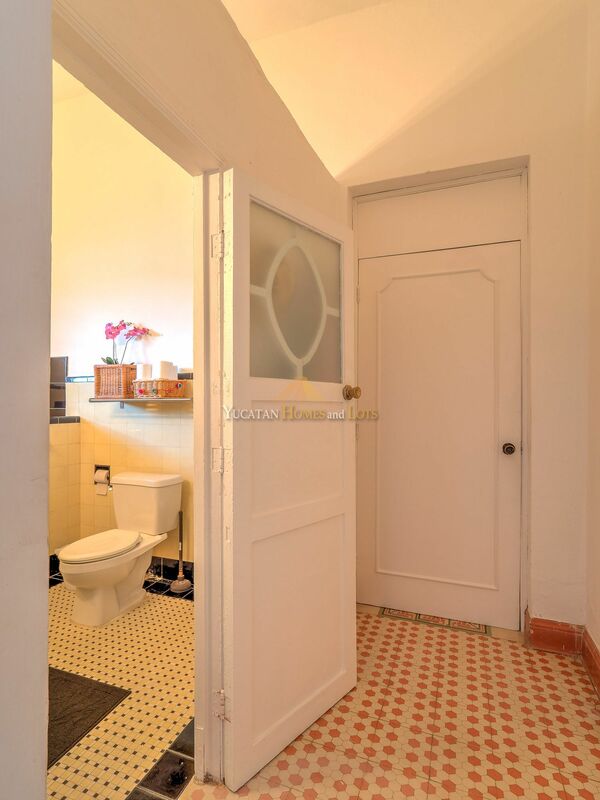 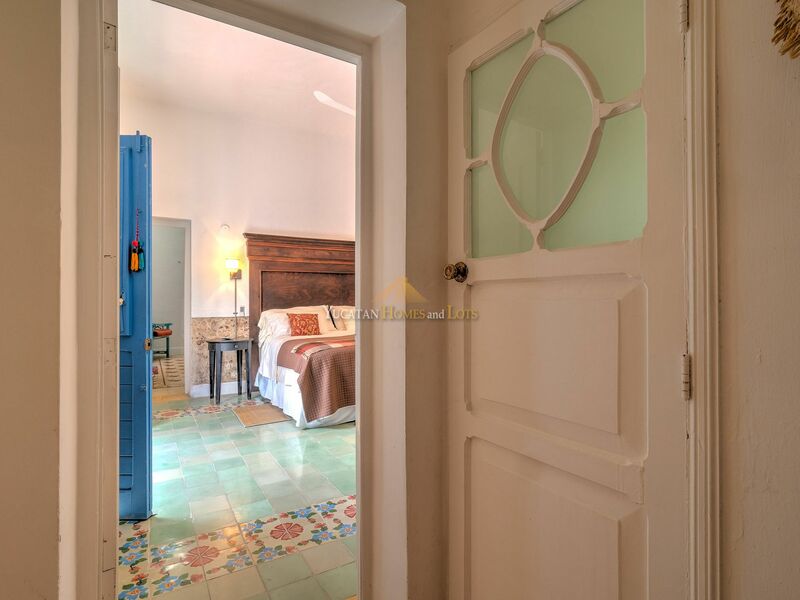 Original pasta tile floors throughout, with unique and beautiful doorways, and original wooden doors. 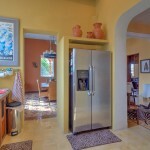 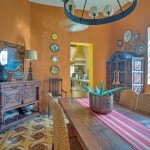 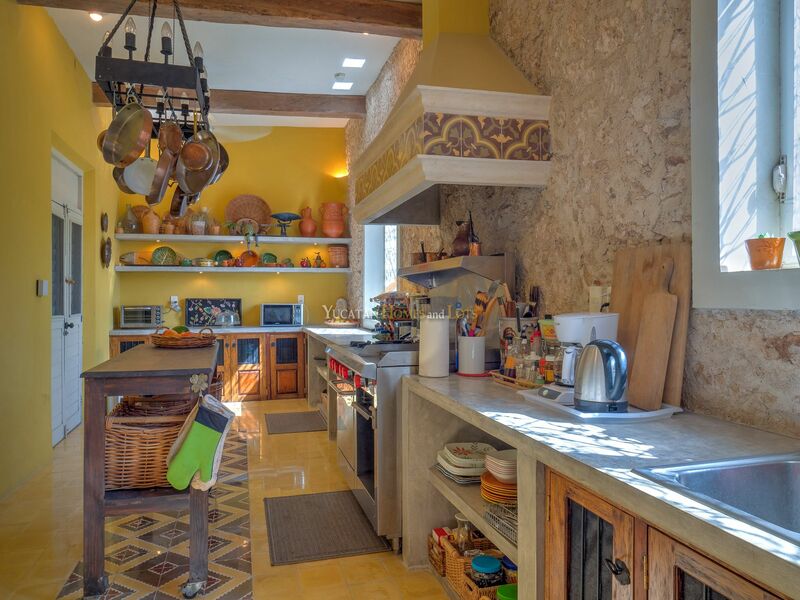 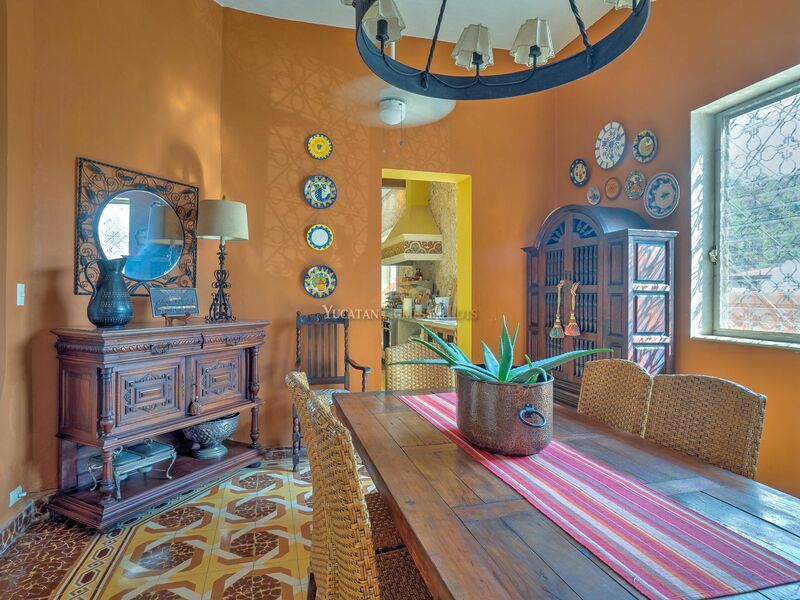 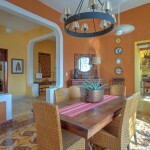 There is a formal dining room, a TV/living room, a study, laundry room, and amazing chef’s kitchen and a 2 car garage. 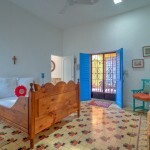 There are ceiling fans and air conditioning throughout the house. 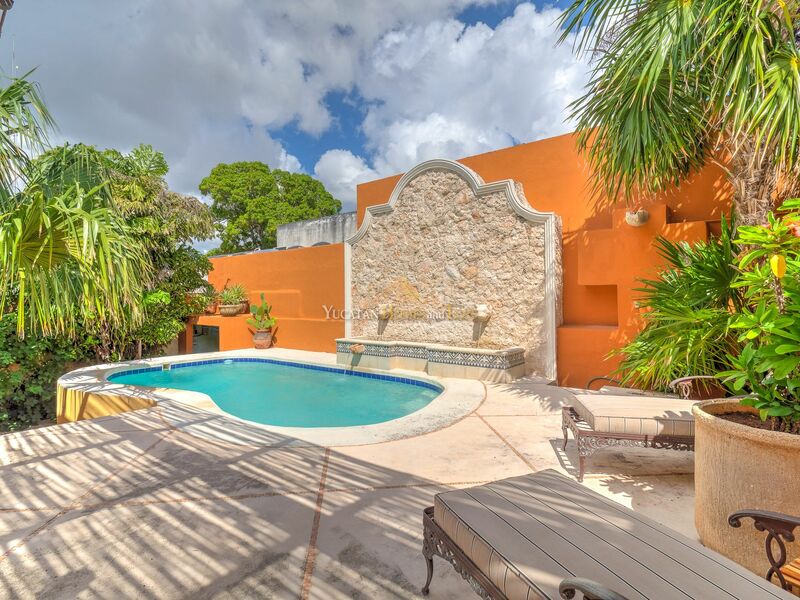 Outside in the tropical garden, a large filtered swimming pool with water fountains is surrounded by a deck with plenty of space for sunning and entertaining provides a focal point. 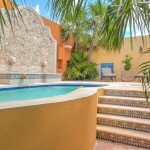 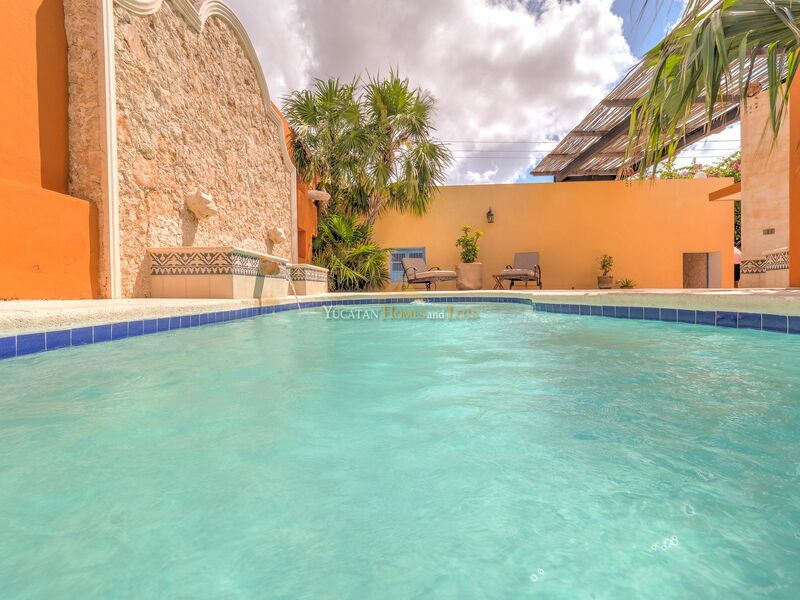 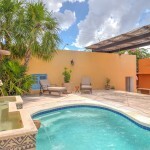 There is a side access to the property for pool service and gardening. 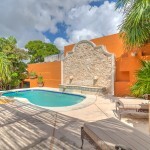 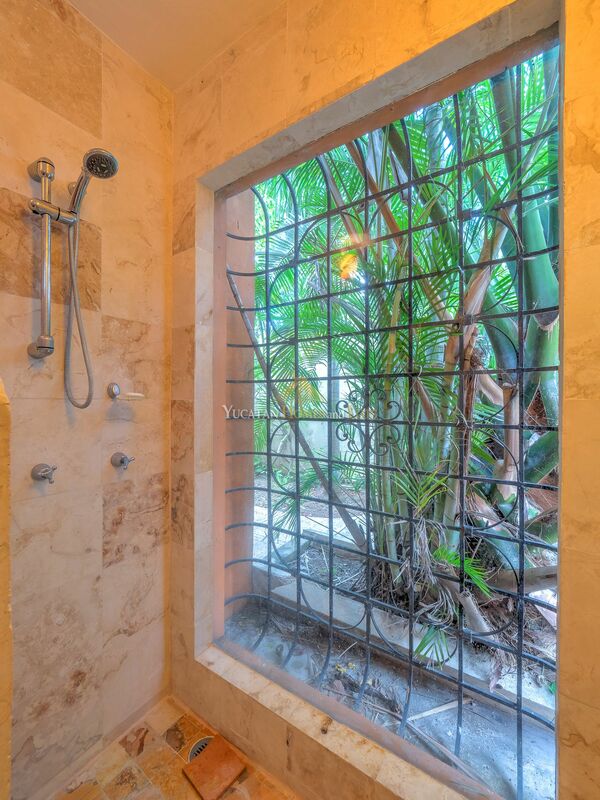 The house is on a large property that is 59 feet across at the street and 147 feet deep. 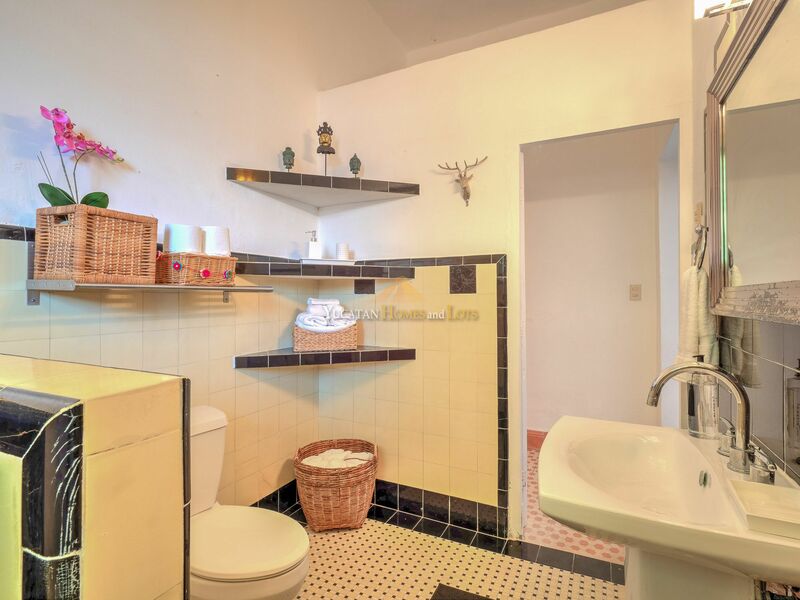 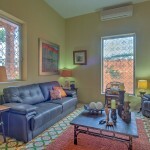 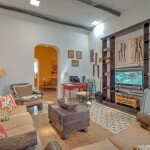 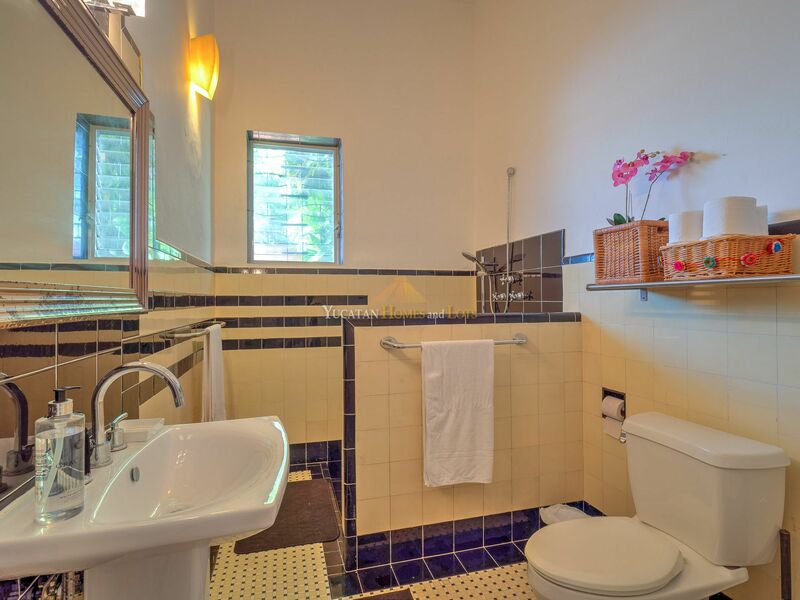 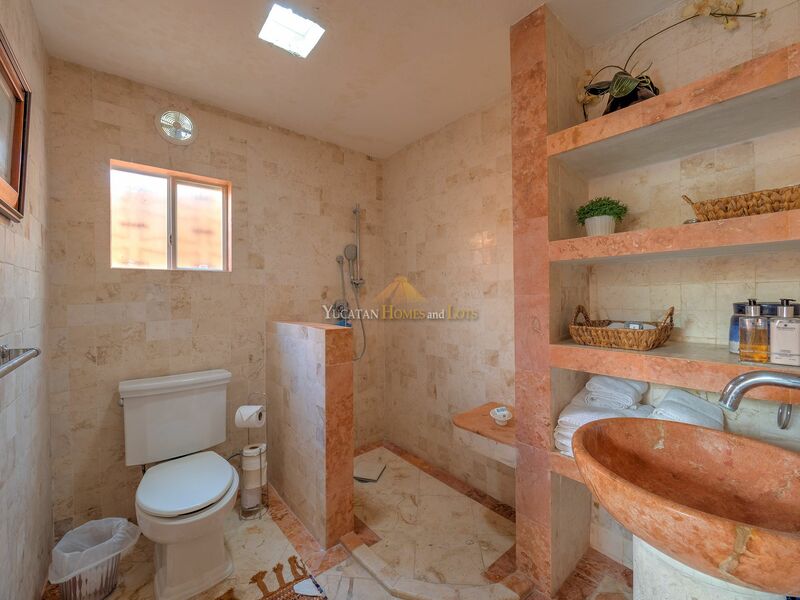 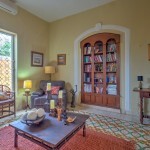 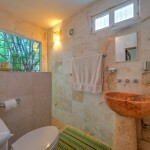 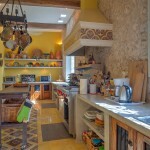 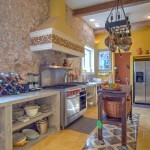 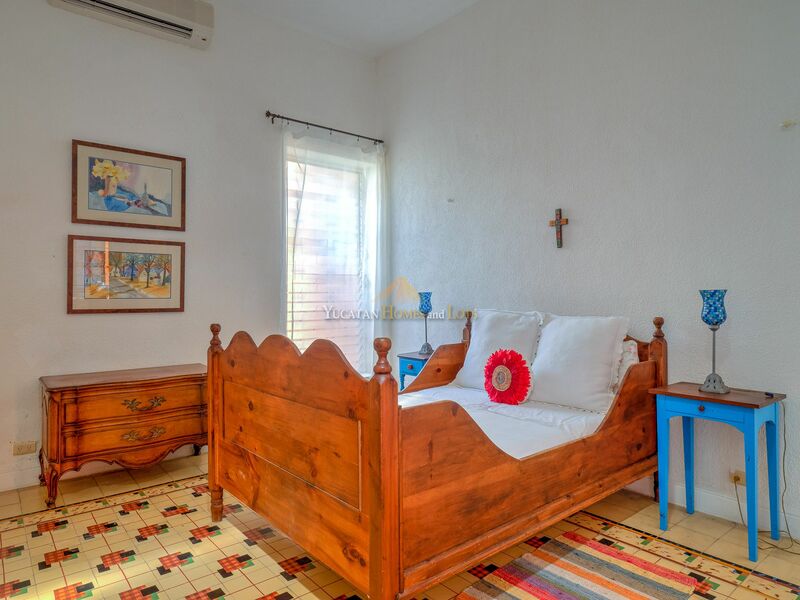 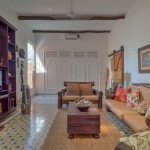 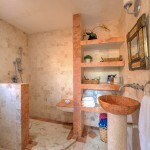 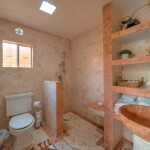 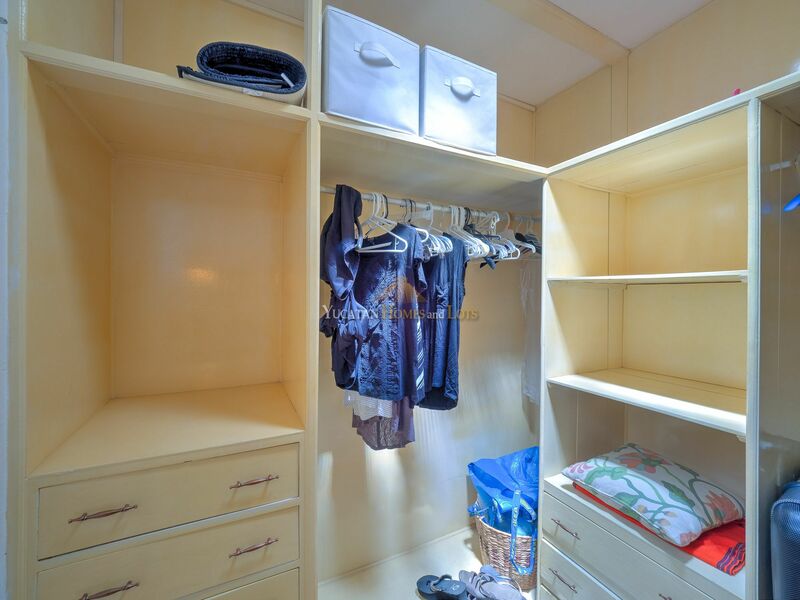 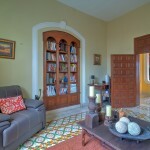 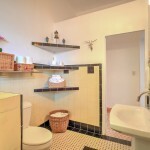 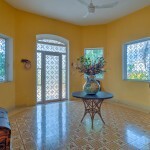 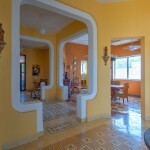 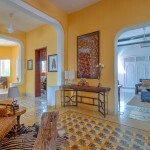 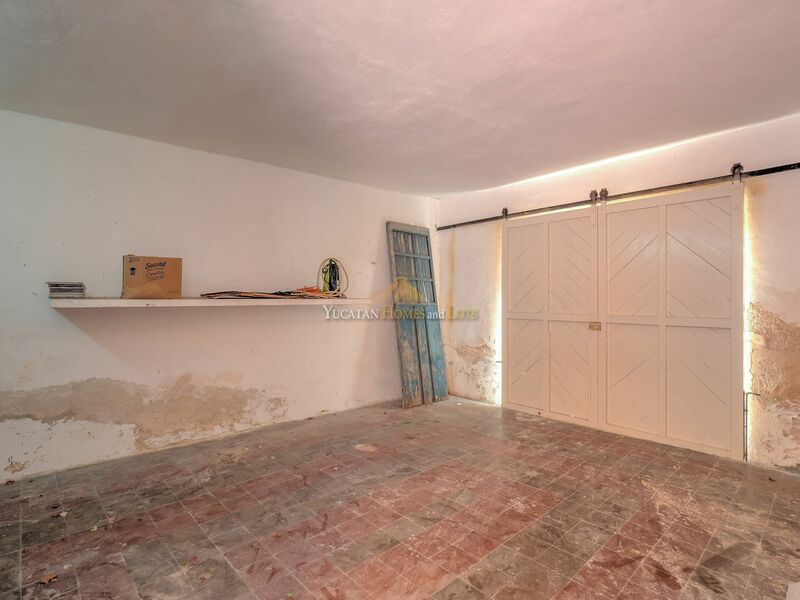 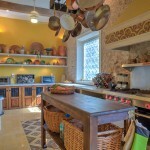 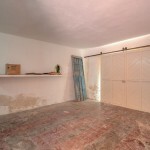 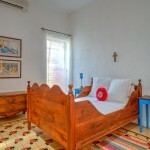 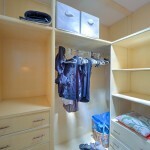 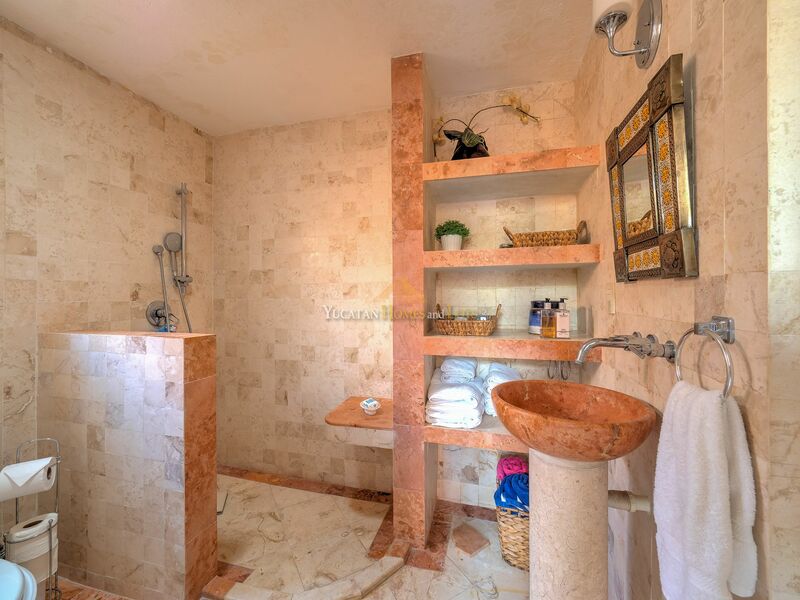 The house is being sold completely furnished… a total turnkey property. 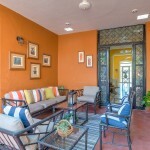 Just make it yours and move in!